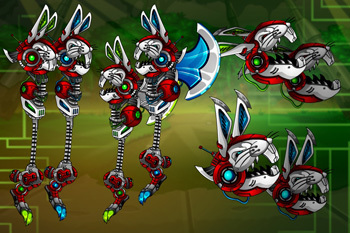 EpicDuel's resident interstellar, sentient rabbits need your help to recover the fuel supply of their demolished ship. This fuel is stored within containers that closely resemble eggs. 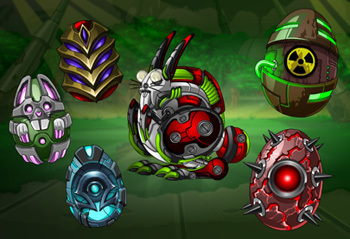 You can collect these eggs by winning PvP battles across Delta V for this limited time event. 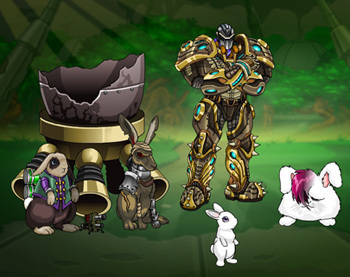 Visit any bunny on Delta V and click the "Egg Hunt" button to view your progress. 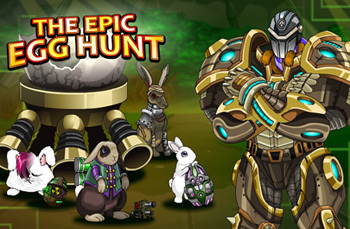 You can use this interface to jump to any bunny and complete his or her mission for BIG rewards! Collect all the eggs to claim a special Egg Head Achievement! 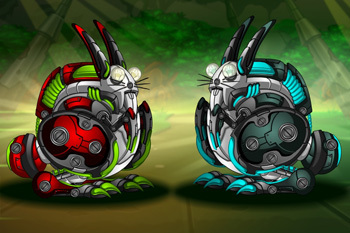 The bunnies aren't taking any chances as they come out of hiding, which is why they've constructed two new bots with an amazing new ability! You can purchase them from Capensis, Myxoma, Lepus, and Mr. Cottontail. Brachylagus has his bots tucked away in his secret shop along with his super secret arsenal! These bots come with a powerful attack called "Color Blast" that humiliates and hinders your opponents. One hit will paint the target's armor pastel colors, which allows Brachylagus to lock on his or her position. If they issue a strike attack for three rounds after being painted, a secret bunny artillery battery will rain down a hail of egg-shaped death! Collecting these eggs will yield BIG prizes! They could be as simple as Credits and Battle Tokens or as awesome as a new seasonal rare armor or an arsenal of new weapons designed by fan-favorite Trizzzy! Hurry up and collect those eggs! 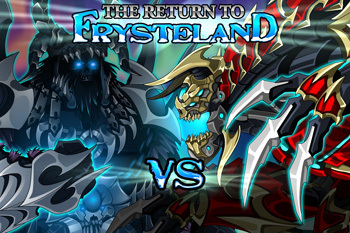 Visit Titan in his icy Frysteland home to collect his silly seasonal rares from years past. Increased the maximum credits possible per battle from 210 to 300. This should prevent issues where you could get fewer base credits than expected while boosting during Power Hour. This bot could unleash huge, repeatable damage with no downside. This change should make using the bot the more tactical "Can I afford to wait for its full damage" decision we originally intended. Damage dealt changed from 80-140% to 85-130%. Still gains 5% damage per round. Added a 3 turn warmup on the special to prevent accidental use before it deals full damage. Special now goes into a 3 turn cooldown instead of 4 when the normal attack is used. This skill is intended to provide an on-demand energy boost; this change keeps the focus where it is intended. Lowered damage on hit from 100% to 85%. Reduced the visual size of the Lagomorph auxiliaries. Reversed the position of the Sickle weapons to appear more natural. 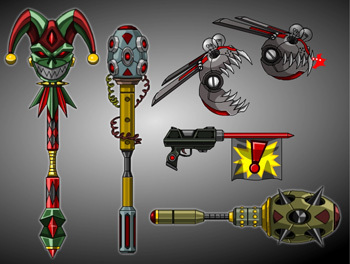 Krampus Blaster, Krampus Cannon, Legion Blaster, and Legion Cannon were incorrectly removed in the last update. They have been moved to the Krampus Trader. Resale price of Basic items was not visually upgrading in certain cases. Resatting items could sometimes cause the resale price to visually increase. Fixed several animation flickers at the start of turns. Botanical Battlegear was incorrectly labeled as Rare instead of Seasonal Rare. Venom Strike initial damage was incorrectly scaling per round. Price of Bio Trooper armor changed to correctly match the Bio Mage and Bio Hunter armors. Certain prize items incorrectly had no resale value. This applies retroactively to existing prize items, including the Bounty Pistol and Banx0rz Blade. 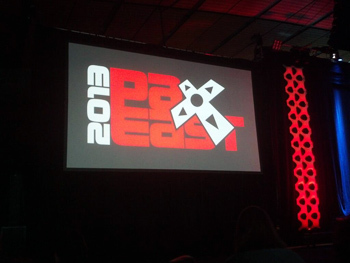 PS - Nightwraith is on location at PAX East this week! Follow Nightwraith on Twitter for the latest reports live from the event. Look for a full post with all the exciting details when he returns! Spring is very, very near (or at least it feels that way if you're near the Lab) and something is stirring beneath the Bio Dome. Last year, the interstellar, sentient rabbits that were stranded on Delta V years ago attempted to make an escape, with disastrous results! In the intervening time, they helped defend the Archives from an incursion of the Mechachillids and patiently planned their next escape attempt. To bypass the force field that surrounds Delta V, the rabbit leader, Brachylagus will need to recover the fuel supply of his demolished ship. This fuel is contained within specially designed containers that closely resemble eggs. Scattered across Delta V will be a sinister selection of eggs for you to collect. How will you collect these? Battle, of course! You didn't think you could just pick those off the ground, did you? That would be crazy! Collecting these eggs will unlock several awesome rewards with the best being a super-secret shop with never-before-seen weapons! We'll need a bit extra time to deliver this jam-packed mega release so we're expecting to deliver it on Thursday, March 28! This week we will be prepping the artwork and coding the event for next week, but we are still planning to roll a release this week with balance adjustments and additional bug fixes. 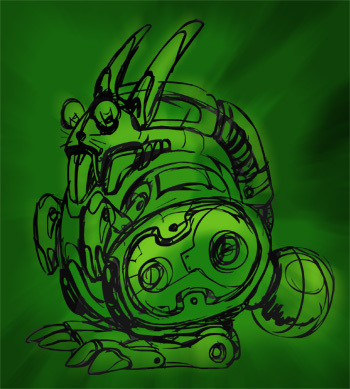 The bunny gang knows that gathering eggs through battle will not be easy, so they've constructed a fierce, mechanical bunny bot to assist you in your duels. This bot is small, but should not be understimated! 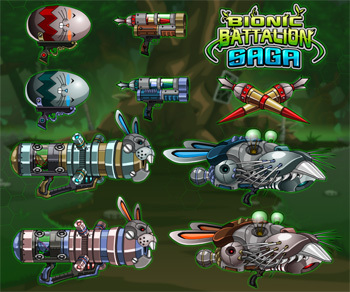 Special thanks to Disturbed and Trizzzy for helping out with the designs of these bunny-themed weapons of mass destruction! The hunt for moderators should be wrapping up very soon. Our final interviews have concluded and we're making a final pass selecting the candidates. There were a lot of qualified candidates so picking the best of the best has been a great challenge. Thank you for your patience during this process! New performance setting: "Play Idle Animations in Battle"
Before Update: Drained 1-10 Energy giving back 50% of amount drained. Slight level scaling, no stat scaling. This skill had many issues, to the point of being nearly useless in most cases. It should now provide Tech Mages with a more reliable on-demand energy gain. We overshot slightly with the last buff, this will bring it more in line. Despite previous minor nerfs this skill was giving far too much free damage, especially over Supercharge and Surgical Strike (Massacre was doing up to 22 more damage than these skills even with no stat investment). This should make the skill more attractive while still keeping a lot of the damage on the poison. The icy grip of Winter is beginning to wane on Delta V, giving way to green, life-giving vegetation. However, Delta V is a dangerous world, with dangerous creatures, and even more dangerous plants. 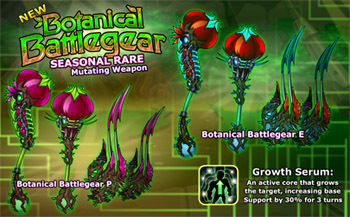 Based on extensive studies in the Biological Preserve, Delta V scientists have developed new weapons known as Botanical Battlegear. These mutating items come in physical and energy damage variants and they will be available with the 10,000 Varium package! This package comes with TWO mutating weapons plus an exclusive core: Growth Serum. This is an active core that increases your character's height while buffing the base Support. Cast a shadow of fear across the battlefield! Azrael's Anguish and Annihilator package will not be leaving this weekend, but it won't be around much longer! Seasonal rare weapons will be returning. Check out Charfade, Naomi, and Valestra (Frysteland) to get them! Winter / Frysteland rares will be leaving until next year! The missions and Heartbreaker / Azrael weapons will remain a bit longer to let everyone participate in the epic clash against the Elite Yeti! 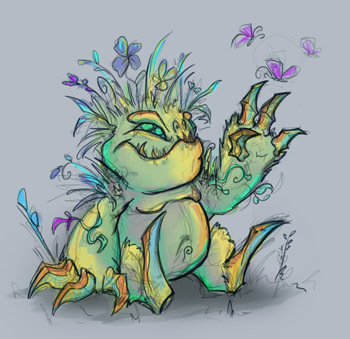 Since we released Omega, Titan and Rabblefroth have been hard at work cleaning up bugs and trying to optimize performance, but that's a challenging task to do in parallel with new content releases. This week, Practel was in the Lab to personally help Titan smash many outstanding bugs. Check out this video on our Official Youtube Channel to see our development in-progress! Despite that progress, it's important to remember that smashing bugs is an ongoing process. We can't fix bugs if we don't have enough details to determine why they are occurring. Artix.com is making great strides toward an improved bug tracker, but for the time being, the AE forums is our primary source for bug reports. Often in game development, something will seem like a great idea when it's initially conceived, but upon closer examination loses it's luster. Dead Battery seemed like an interesting idea coneptually, but in testing the effect was very confusing. It looked more like a bug than a feature. For the time being, we are tabling Dead Battery until we can rethink and rework it into a better, more useful, more clear core. We're always on the lookout for new core ideas from the community. Post your ideas here! Wow! Thanks to you guys, we now have an absolutely staggering amount of screenshots to show off Omega! Although we'll always need screenshots, we will be placing a hold on the contest starting Monday 18th @ 6:00PM EST. 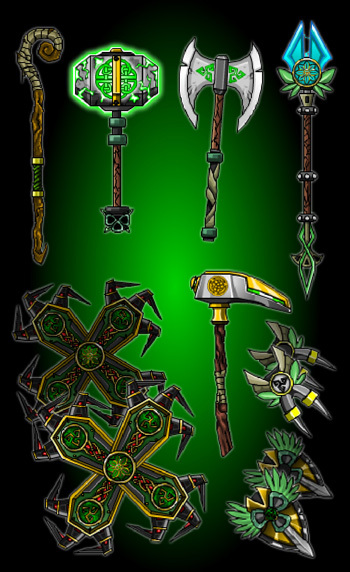 At that point, we will begin awarding prizes to the best entries and prepare them for use on the EpicDuel website. We will allow for more entries again in the near future, but right now the amount is overwhelming! If you haven't entered the contest alread, you still have some time to post your shots! New Frysteland missions! For those with the mysterious summoning stone, come see RabbleFroth in the Barrens to continue the story. The Golden Yeti Tournament has come to an end! The competition was fierce, a job well done to all of those that participated. The winners should have their Yeti and Achievement when the servers are live. RabbleFroth has a new question to ask you about how you play games. Various improvements to account registration and character creation. The gauntlet has been thrown: Battle Alydriah's champion, the fearsome Elite Yeti, for the fate of Frysteland! But you won't be able to do it alone! Complete the final quest chain, starting at Rabblefroth, to summon the Shadow of the Endless, a powerful spirit from the Void who can help you expel Alydriah's terror from Frysteland for good! Summoning such power comes at a price, though. Are you prepared for the consequences? You will need to have completed the previous Frysteland quest chain up to the Summoning Stone to engage in this mission chain. Visit Edgar Boothe or King Alaric (both in Frysteland) to being the Frysteland missions if you haven't done so already. The Yeti training missions are not necessary to complete these new missions. We are in the process of outlining a brand new mission system! We are conducting a lot of in-house playtesting and have determined that our existing mission system is overwhelmingly confusing. It should not take paragraphs of guides and Wiki entries to help even experienced players navagate a chain so all of our existing missions are getting a much needed overhaul. This confusion no doubt leads many to neglect missions altogether, causing them to miss out on plot developments and all the great mission rewards! This new system will soon be revealed and go live within the next few weeks. 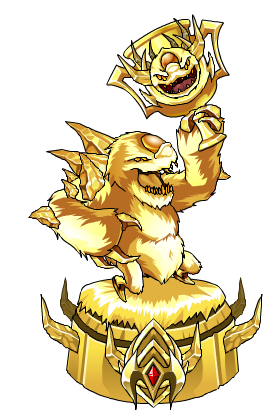 When EpicDuel Omega 1.5.5 goes live*, the the top 100 competitors in the Yeti Tournament will win the coveted Golden Yeti! Additionally, the top 100 will win an achievement based on their final rank in the tournament. Congratulations, champions -- you've earned it! We've learned a lot from this initial foray into organized competitions. We'd love to do more in the future with numerous refinements based on the knowledge gained from the Golden Yeti Tournament. If you didn't win, don't worry -- there will be more competitions, better competitions, on the horizon. *Likely later than we expected, but we will update you in case of a delay. Follow our Twitter accounts for the most up-to-date details! The tournament officially ended ~ 10:50PM EST. The Forging of Azrael's Armaments Video! 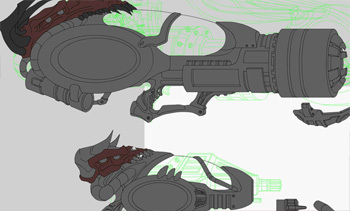 Keep checking EpicDuel's Official Youtube channel for a time-lapse video showcasing the creation of Azrael's Anguish and Azrael's Annihilator. The video will go live shortly after Friday's release. Rumor has it that there's a super-secret prize code hidden within the video. Watch closely or you'll miss it! Visit Rabblefroth in the Wasteland who is seeking answers to yet another deep and meaningful question! Balance Adjustments and Bug Fixes! New and improved balance and numerous bug fixes! These will be covered in greater detail in the Patch Notes. Hey there EpicDuelists! Getting your account scammed or "hacked" is a terrible fear for many players, but it's actually a highly preventable matter if the proper precautions are taken. 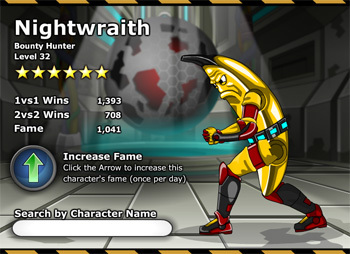 We have a very special guest in EpicDuel's Design Notes today to level up your knowledge about account security: Nythera! Nythera here. As many of you know, not only am I an awesome half-dragon Void Mage, I am also Head of Player Support for Artix Entertainment! That means I'm one of the people helping to protect YOU from scam/phishing sites. I work on getting all the harmful webpages taken down that hurt our game and threaten YOUR account! Not sure what I'm talking about? Read on! Never share your account with anyone! DO NOT trust any other sites or emails except official AE sites/emails. For more information on how to keep your account secure, see our Account Safety Help Page! 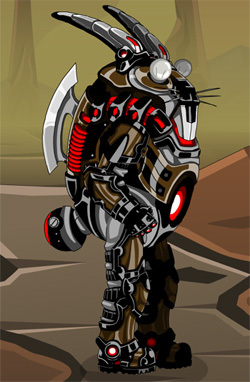 It's designed for AQWorlds, but the general rules still apply to EpicDuel! What sites are NOT safe, and Why? Yola.com (yolasite), Weebly.com, Jimbo.com, dot.tk, webs.com, fordeon.com, jigsy.com, etc. What Should You Do If You Find a Site Like This? Email us using this email form, please!. We will do our best to get them taken down, but it's impossible to find all of them, so we need YOU to help! We will never contact you from a gmail.com or yahoo.com email address. The ONLY official email addreses we use are battleon.com addresses. Scammers use FaceBook or Twitter to steal accounts, too. Check our official EpicDuel and AE team FaceBook/Twitter accounts to see who is talking to you. Sites that promise FREE STUFF to steal your account information! Scam sites say they'll give you free Varium, upgrades, or items IF you give them your game or email login information. Private Servers, Bots, and Trainers are Illegal! Private servers are versions of EpicDuel made with stolen art/code. Bot/Trainer programs are created by people looking to cheat. Both have ways to steal your account information. Never download bot/trainer programs or login to a private server using your EpicDuel account information! Botting or creating private servers can get your account banned. I would like to thank all of you who play and support our games legitimately. Remember: you can always email us if you have a question about anyone contacting you! And by not scamming, hacking, phishing, or trying to steal from other players, it makes YOU one of the greatest Heroes on Delta V! Due to some last minute issues that came up with this core it wasn't quite ready for today. We plan to have them resolved by next week's update. This change is designed to help with weapon damage on builds with very high amounts of a single stat. For more details see the final section of the Patch Notes labeled "Diminishing Returns." The amount of stats you need per point of damage has increased. This will be most noticeable in builds with more than 85 points in Strength or Support. We felt that characters were getting too much free energy, preventing the need to stat for it. This change is a first step for helping with this. This change brings Malfunction in line with Smoke Screen. Malfunction was stronger to account for the old, faster scaling of Resistance. This skill was doing a bit too much damage for the cost, and the lack of a requirement allowed Tech Mages to overperform at low levels. These cores were giving a bit more free power than intended. These changes are designed to bring them more in line. Changed Mercenary Power Armor name to Metal Marine. Tech Mage Power Armor unchanged. For those unaware, there is a system in place to make stats less effective as they pass certain thresholds (55 stats, and again at 85 stats). For example, in the last update, you needed 4.5 Strength to get 1 point of weapon damage. After reaching 55 Strength, you would then need 5.5 Strength to get each extra point of damage. Finally, after 85 Strength, you would need 6.5 Strength per point of damage. So the “diminishing returns” of Primary and Gun damage was (4.5 → 5.5 → 6.5). In this patch, the diminishing returns for Primary, Gun, and Auxiliary damage was changed to (4.5 → 6 → 8). This means that builds with less than 85 points in a single stat will see at most a small change in damage, while those with more than 85 points in Strength / Support may see a more noticeable drop in their Primary / Gun / Aux damage.